To view statistics for your local area please enter your full postcode e.g. BT9 5RR. 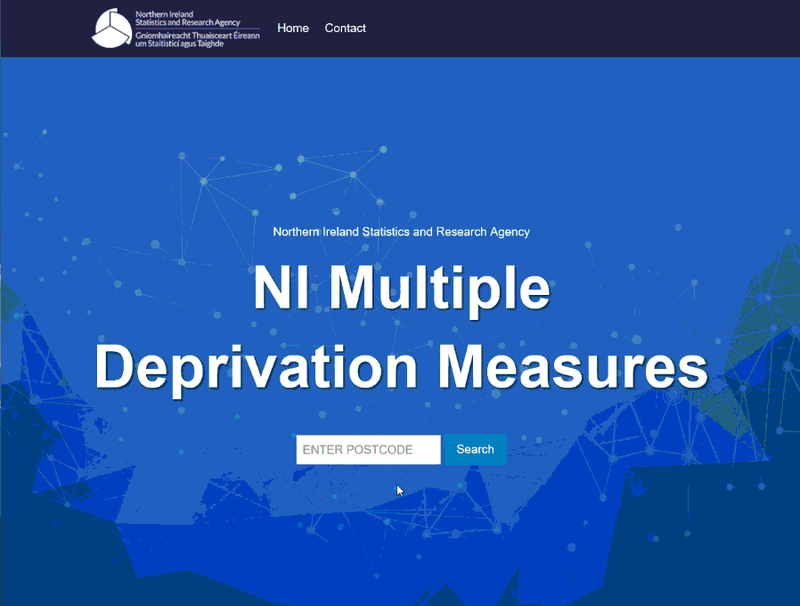 The updated Northern Ireland Multiple Deprivation Measures (NIMDM 2017) were published on 23 November 2017. This is the official measure of spatial deprivation in Northern Ireland. The NIMDM 2017 provide information for seven distinct types of deprivation, known as domains, along with an overall multiple deprivation measure (MDM). The NIMDM 2017 provide a mechanism for ranking areas within Northern Ireland in the order of the most deprived to the least deprived. A new application has been developed which allows users to easily locate the Multiple Deprivation Measures (NIMDM) 2017 results at Super Output Area (SOA) Level. Simply enter the postcode into the application to return the SOA level results. 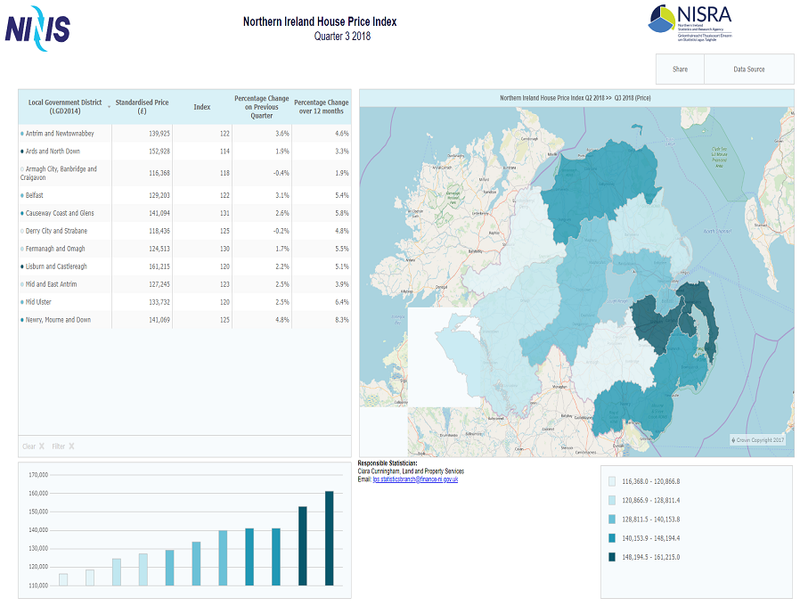 Further information on the NIMDM2017 is available on the NISRA website: Northern Ireland Multiple Deprivation Measure 2017 (NIMDM2017). 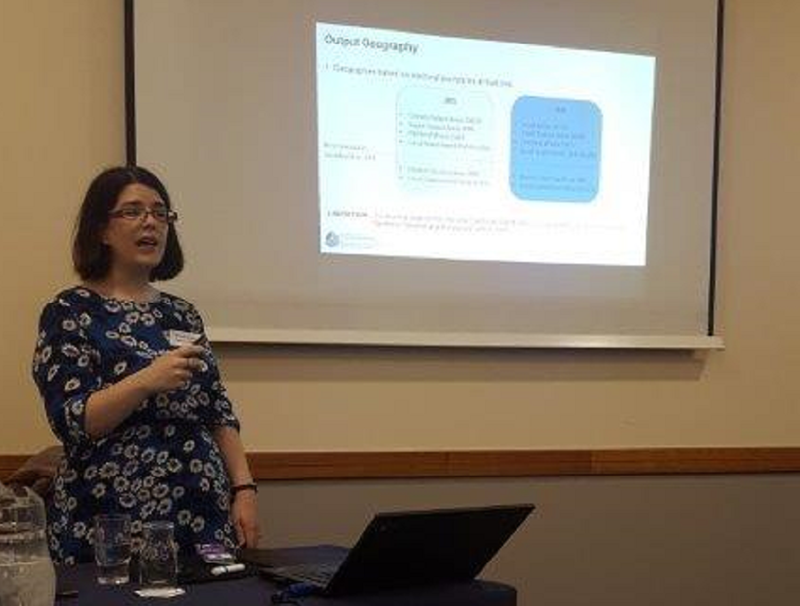 The Northern Ireland Census Office recently conducted a public consultation asking users for their views on the 2021 Census Outputs Strategy. Users were invited to share their views on important aspects of the 2021 Census results, such as the proposed release schedule, Statistical Disclosure Control and available options for output geographies. 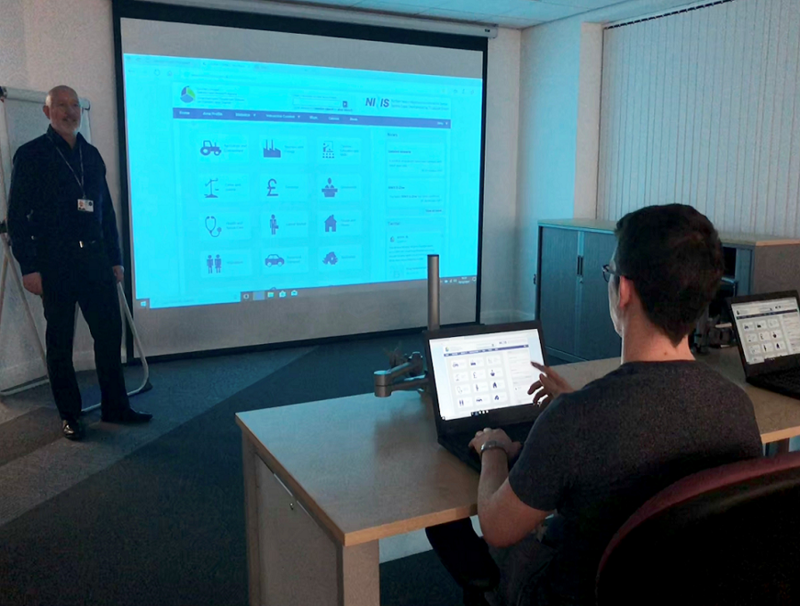 A total of 61 people attended the information events, which included representatives from political parties, the voluntary sector, religious groups, council members and fellow NISRA colleagues, as well as many others. The events allowed attendees to gain further information about our plans for 2021 Census results and clarify queries. The information event presentation can be downloaded from the consultation webpage. Census staff, Amy Dunlop and Sandy Fitzpatrick, engaged with attendees and answered any questions raised. Many thanks to those of you who attended the information events and to those who have submitted a reply to the outputs strategy consultation. Your response to this consultation is important and your feedback will help prioritise work to develop 2021 Census outputs. Census Office plan to produce a ‘We asked, You said, We did’ report which will be made publically available on the NISRA website later in 2019. If you require further information, please contact the Census Customer Services team on 028 9025 5156 or by email: 2021census.consultation@nisra.gov.uk and they will be happy to answer any queries that you may have. The next NINIS workshops will take place on 21st February 2019 in Colby House. You can register for this workshop on the NINIS website. User guides and e-learning website tutorials are available in the Learning Zone on the NINIS website. You can also contact the NINIS Customer Service Team. Don't forget to follow @NISRA on twitter and nisra.gov.uk on facebook.